When most people hear of ‘Africa’, beautiful African cities at night are usually the last thing they think of especially people from the western world. What comes to their mind is mostly an imagination of a vast forest, barely clad dark-skinned people, wild animals, and huts. Well, who can blame them, it happens to be the stereotype which they have been exposed to by western media. Movies as well tend to depict Africa and Africans in a manner which screams of helplessness or people always in need of some sort of aid relief or the other. Although we do love our safaris, and natural endowments, alongside everything that makes Africa enviable and unique, there are still a lot the mainstream media doesn’t show of the beloved continent which is a quite sad but recently, the advent and popularity of social media (especially in the hands of extraordinary, young and vibrant Africans) has made it easier to show the better side of a downplayed continent. No doubt, Africa still has a long way to go in terms of development; but one thing is for sure, Africa is definitely not where it used to be and this is evident in the glorious look of its cities at night. So we’ve compiled images of African cities at night and they are absolutely lovely. Happy exploring! Nairobi is Kenya’s capital, is home to over three million residents which is popular for its safaris also known as the “green city in the sun”. It is the urban core of the city which boasts of the Nairobi National park which is a game reserve known for breeding endangered black rhinos, lions, zebras and giraffes. Lagos is Nigeria’s commercial hub. Boasting a population of over twelve million people, the city is a sight to behold at night and the nightlife is something that can rival any part of the world because Nigerians love to party. Coupled with the Nigeria music and food, the Lagos nights view is simply amazing. Some of the attractions in Lagos include; the national museum, the freedom park, among others. 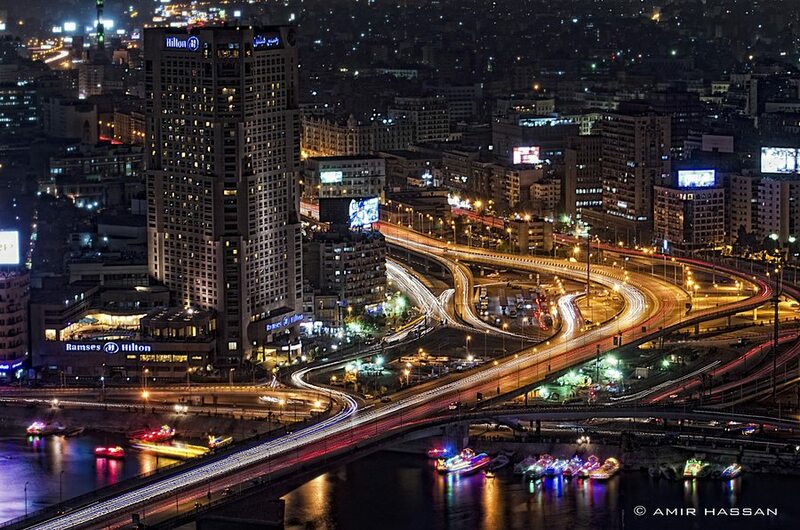 Egypt’s capital is one of the most beautiful African cities at night, with a resident population of 9.5 million people, the infrastructural development of the city is quite laudable and this is further enhanced by the lighting of the city at night. This is Morocco’s capital which is situated along the shores of the Bouregreg river and the Atlantic ocean. The Hassan Tower and Mausoleum of Mohammed V are some of its tourist attractions. 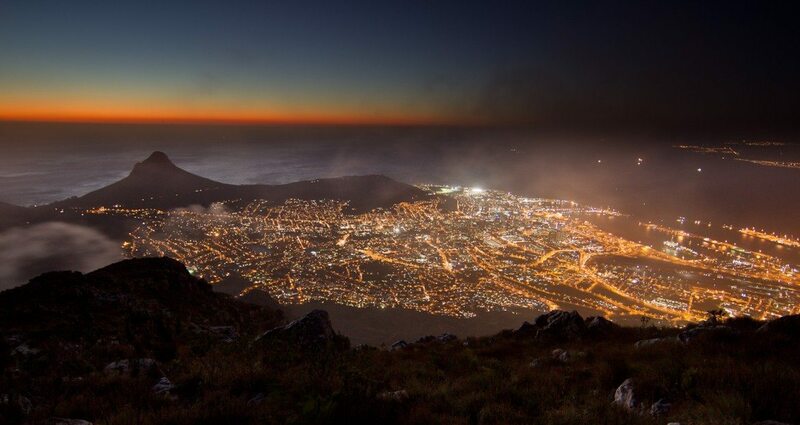 Cape Town is arguably one of the most advanced and well-planned cities in Africa. This South African port city is home to various points of interest such as the table mountain, as pictured above, and Robben island among others. At night, this city lights up to resemble the landscaping of America’s Hollywood which is such a sight to behold. Victoria is Seychelles capital and also the smallest capital in the world. The beautiful island is known for its tourist attractions which include, parks, reserves, and resorts. Accra is Ghana’s bustling capital. The west African city is home to the famous Kwame Nkrumah National Park, a memorial of the first Ghanaian president who led the country to independence. Kigali, Rwanda’s city was described as the most beautiful African city by the United Nations. It’s no wonder, as it is not just aesthetically beautiful but also one of the cleanest. Although many think of the Islamic State when Libya comes to mind, it’s still home to one of the most beautiful capitals in the world. Dar es Salaam is the biggest city in East Africa and home to over 4.3 million people. It is also the commercial port of Tanzania, where the Mbudya island, the National Museum, and other national heritage are situated. From the above, it can be seen that Africa not only has wonderful safaris or vast natural lands, but it also has beautifully designed and serene urban cities that come alive a night which is a great leap from the mud houses and savagery the rest of the world perceived her to be.